Three Pakistani scholars have successfully completed their respective studies from foreign educational institutions of higher studies. 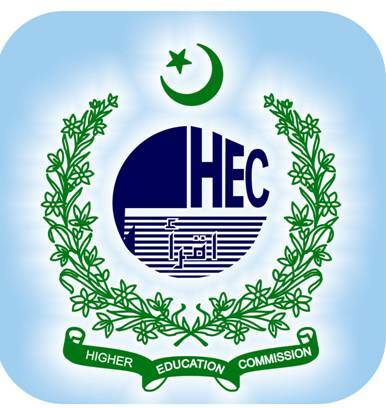 These ventures were funded by the government through the Higher Education Commission (HEC). These scholars include Dr Wajid Aziz Loun, Dr Muhammad Imran Yousuf and Dr Qazi Abdul Rehman Abid. They completed their studies from the University of Leicester, UK, University of Dundee, UK and University of Heidelberg, Germany, respectively. The scholars returned with renewed resolve to serve their homeland and its people, said a press released issued on Saturday by the Higher Education Commission. The core expertise of Azad Jammu and Kashmir University Assistant Professor Dr Wajid Aziz Loun is in Biomedical Information Systems, while his focused area of research is Biomedical Signal Processing. He worked under the supervision of Dr Fernando S Schlindwein. His post-doctorate research was an extension of his PhD work, where he applied HRV analysis techniques to investigate the risk of coronary heart disease in growth restricted children and asphyxia monitoring, the press release said. The press release added that Dr Muhammad Imran Yousuf was working as an assistant professor at the Rawalpindi Arid Agriculture University. His area of study was Teacher Education and the focus of his project was to gain an understanding of the perceptions of prospective teachers in the UK and Pakistan. He worked under the supervision of Education and Associate Dean (Research) Chair Prof Dr Brian Hudson, and University of Dundee School of Education, Social Work and Community Development Professor Dr Ian Barron. “Bahauddin Zakariya University Department of Urdu Associate Professor Dr Qazi Abdul Rehman Abid, has also returned to Pakistan after completing his research on ‘Post-colonial Study of Early Urdu Criticism’,” the press release added.